Are you confident that you are ministering to the deep heart needs of your clients, or do you sometimes feel like you are just putting on Band-Aids to cover festering wounds? Wouldn’t you like to know that your clients have been cleansed and healed by experiencing the loving touch and compassionate words of the Wonderful Counselor Who alone can touch those deepest places within? If so, then a Doctoral Degree in Christian Counseling from Christian Leadership University is exactly what you’ve been searching for. We believe that experiential knowledge is infinitely more valuable than detached book learning. All the head knowledge in the world will do you little good if you can’t make it work in the real world. That’s why every step of the way you will be applying what you learn. Each of our Christian Counseling courses are refreshingly practical, and will guide you step-by-step through the processes and techniques that are used. Why is this so different from every other online Christian Counseling Doctoral program? You cannot begin to measure the effect of having God show up and minister His healing power directly to a broken heart. It goes so far beyond the mere Christian principles of counseling that you can attempt to apply by your own strength. The voice of the Lord Jesus Christ and His life-changing power are absolutely essential for the complete and lasting restoration of a deeply wounded heart. These Christian Counseling courses online are designed to get to the root of the problem, and to effectively facilitate Jesus Himself coming and doing all the “heavy lifting.” He alone can eliminate not just the emotional pain itself, but the underlying heart issues that cause each of these inner struggles. God knows the exact origin of every negative thought, attitude and picture that a heart holds, and He wants more than anything to personally touch and heal these areas. You are much closer to your Doctor of Christian Counseling degree than you realize. Bring in up to 50% of your doctorate through the combination of transcripts from other colleges and a Life Experience Portfolio. Put your past studies and experiences to good use and earn your Doctorate of Christian Counseling faster than you ever thought possible! Discover our Christian Counseling concentration, and what makes our Christian Counseling Doctorate totally unique! The number of credits and description of each of the courses in our Christian Counseling Doctoral Degree program can be found here. Click here to find out more about the specific requirements for a Doctorate of Christian Counseling. Interested in a career in Christian Counseling? Read our recommendations and browse some helpful links. I have finished my course work for my doctoral degree in Christian Counseling. I have been a lifelong educator and student. I can truly say that in all my years of attending different schools and taking classes from [five] universities, that the courses I had from CLU were far and away the most rewarding that I have ever taken. The books I read, the tapes I listened to, the workbooks and journals I kept along with the Scripture readings have all allowed me to better serve the young men at our school. With each and every course I took, I developed a better relationship with God. See the complete letter Eric sent us. 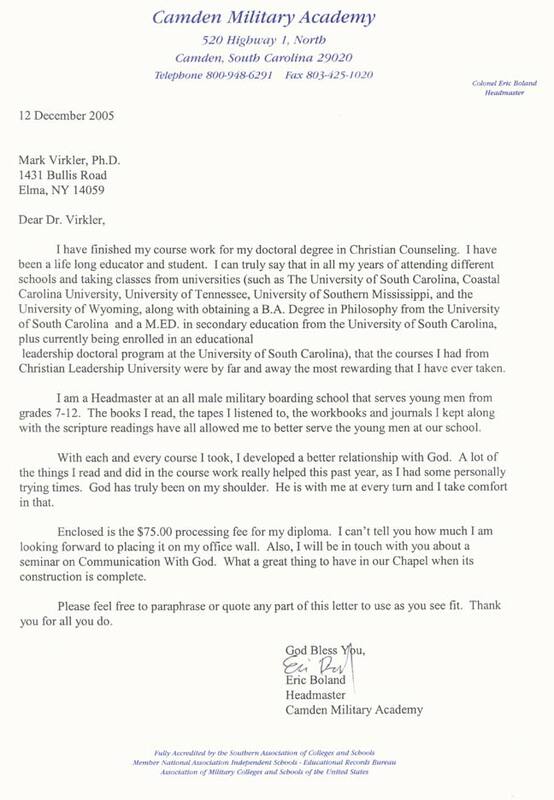 I just completed my Doctorate of Christian Counseling through Christian Leadership University. I can’t even begin to tell you how amazing this experience was for me in terms of healing, personal growth, and growing as close to God as I have ever been. I’ve learned to discern the voice of God through dialoguing and dreams. To think, all of these years He may have been trying to speak to me and I didn’t know how to listen to Him. Hearing God and allowing Him to be the Wonderful Counselor He truly is has totally changed my life. Thank you to the Virklers and to Christian Leadership University for your amazing ministry. May God richly bless you. On our Christian Counseling testimonies page you will find many more stories of how God is using these courses to transform the lives of people all around the world. Obtain an accredited Doctoral Degree in Christian Counseling 100% through distance learning. Earn up to 50% of your Christian Counseling Doctoral Degree through the combination of life experience credit and transfers from other colleges. or seminaries. Tuition at CLU is about 1/10th of the average private college, and about 1/4thof a public state college. 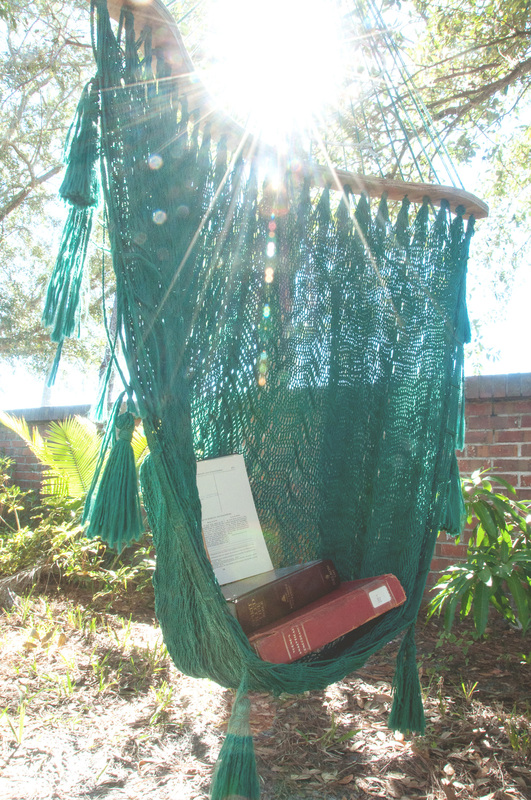 Our unique approach is real life, biblically-grounded, revelation-based learning, authenticated by the voice of God. Click here to view the Christian Counseling courses. Dramatically improve the quality and effectiveness of your counseling today by earning your Doctoral Degree in Christian Counseling from CLU and putting the power of the voice of God at the center of the process.